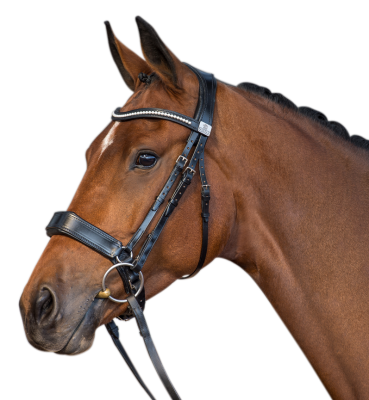 Snaffle bridle headpiece with Fairfax Cavesson noseband. 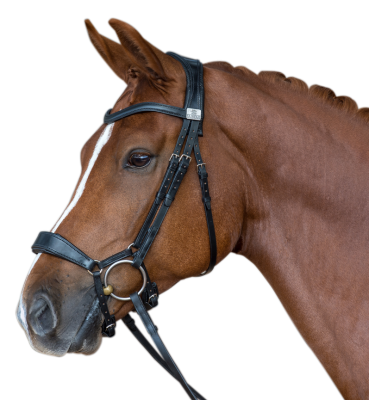 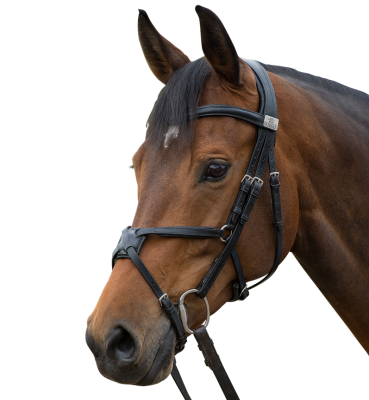 Snaffle bridle headpiece with the Fairfax Drop noseband. 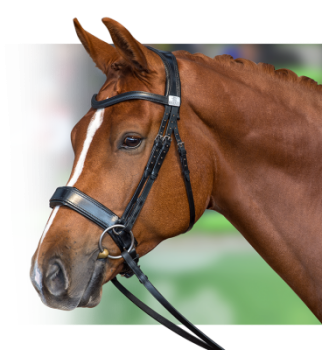 Double bridle headpiece with Fairfax Cavesson noseband. 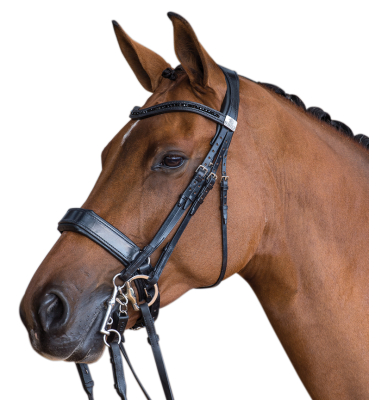 Snaffle bridle headpiece with the Fairfax Grackle noseband.